KENNEWICK, WA – Hockey Canada announced Wednesday their roster for the 2018 Sport Chek World Junior Showcase. 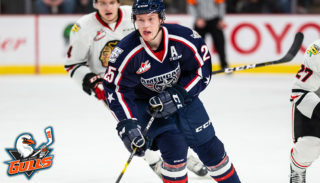 Americans captain Michael Rasmussen was one of Canada’s top 40 junior hockey players to receive an invitation. 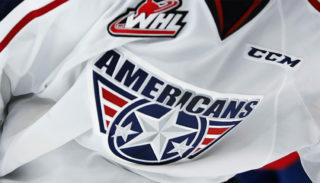 Eleven selected players are from the WHL. The Sport Chek World Junior Showcase will take place in Kamloops, B.C., July 28-Aug. 4. Invited players will audition for a spot on Team Canada’s National Junior Team for the 2019 IIHF World Junior Championship, which will take place in Vancouver and Victoria this December. The eight day-long camp will consist of eleven international competitions between six teams. Two teams from each Canada and the U.S. will attend, as well as European rivals Finland and Sweden. Rasmussen completed the 2017-18 season with 59 regular season points (31G, 28A) in 47 games for the Americans and led the team with 33 points (16G, 17A) through 14 playoff games. 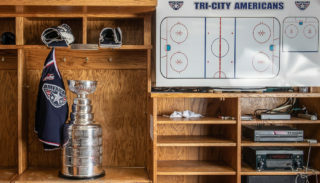 He was drafted 7th overall by the Americans in the 2014 WHL Bantam Draft, and has played a total of 161 games and tallied 157 points (81G, 76A) for Tri-City during his WHL career. The 6’6″ center played for Team Canada’s U-18 team at the 2017 Ivan Hlinka Memorial Cup where he had 3 points (2G, 1A) in 5 games. Rasmussen also made Team Canada’s roster for last year’s World Junior Summer Showcase in Plymouth, MI, but only played one game due to an earlier wrist injury. Rasmussen was selected 9th overall in the 2017 NHL Draft by the Detroit Red Wings. 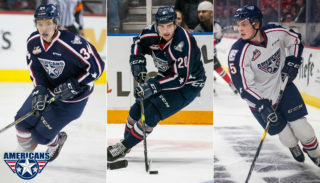 Seventeen players on the Sport Chek World Junior Showcase roster have been drafted in the first round of the NHL Draft. You can view Hockey Canada’s full World Junior development Roster roster here.